There are various types of dictionary types of list used in daily life. The word "dictionary" here does not imply the traditional dictionary that holds the words and their meanings in the English language. The concept is applied in various scenarios. To illustrate dictionary-based collections, we will create an application used to run a car-rental bompany. 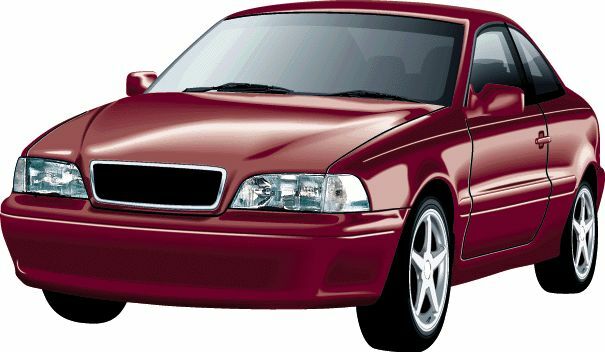 Because customers have many needs, a car rental company has various types of vehicles, small, medium, big, trucks, passenger-oriented, etc. as a result, not all cars cost the same to rent. To make our application interesting, we will also use different ways to set the rental cost depending on whether the car will be rented during the week, during a weekend, or for a whole month. The employees, also called clerks, of a car rental company register new customers, allocate cars to them, perform the rental process, and complete the renting when a customer brings the car back. To deal with the employees of our company, we will create a class named Employee. We will keep information to a minimum. The purpose of a car rental company is to rent vehicles. A vehicle record contains such information as the tag number, the make, the model, the category, etc. The tag number be unique. A rental order is a contract that describes the transaction between the car-rental company and the customer. The contract contains the customer information, the car information, and other related pieces of information. A rental order must be uniquely identified. This is usually done by a receive number (or an invoice number). A dictionary is a list of objects where each item is in the form Key=Value. In real life, the key on the left doesn't have to be unique, but each key most have a set of values. In a database application, each key most be unique so that it is distinguishable from the other keys. For example in a a computer database where you have a list of products sold in a store, each product must have a unique number that distinguishes it from the other products, even if the description is the same. That idea makes it possible to use the concept of dictionary in a computer database. The Key can be used to uniquely identify each record. The Value, or the section that represents the Value, is used to describe the record. The .NET Framework provides various interfaces and classes to support dictionary-based lists. Two of the dictionary-based collections classes are Hashtable and SortedList. These classes implement the IDictionary interface, the ICollection interface, the IEnumerable interface, and the ICloneable interface. The Hashtable class implements the ISerializable interface, which makes it possible for the list to be serialized. Still, the SortedList class is marked with the Serializable attribute, which makes it possible to file-process its list. The System.Collections.Generic namespace provides dictionary support through the Dictionary, the SortedDictionary, and the SortedList classes. In this application, we will use the Dictionary class to see how a dictionary-based collection can be used in a database.